Matt Levy, along with Drs. Alan Greenberg, Manya Magnus, and Amanda Castel from the DC CFAR, has recently published an article in AIDS Patient Care and STDs entitled, "Evaluation of Statin Eligibility, Prescribing Practices, and Therapeutic Responses Using ATP III, ACC/AHA, and NLA Dyslipidemia Treatment Guidelines in a Large Urban Cohort of HIV-Infected Outpatients." 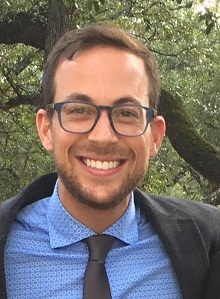 Based on an analysis of data documented in outpatient electronic medical record systems at 13 major HIV clinic sites in Washington, DC as part of the DC Cohort study, the authors compared proportions of HIV-infected patients who were eligible for statin therapy based on three US national cholesterol guidelines, examined actual statin prescribing practices, and evaluated patients' clinical responses to newly prescribed statin therapy. The authors' findings demonstrate that that approximately half of HIV-infected patients had an indication for statin therapy based on newer dyslipidemia treatment guidelines and that opportunities remain for the expansion of the use of statin therapy to prevent cardiovascular disease among HIV-infected persons, a population experiencing elevated and growing rates of morbidity and mortality attributed to cardiovascular disease.